Detective-X Loss Prevention & Security Mirror | Buy Today! 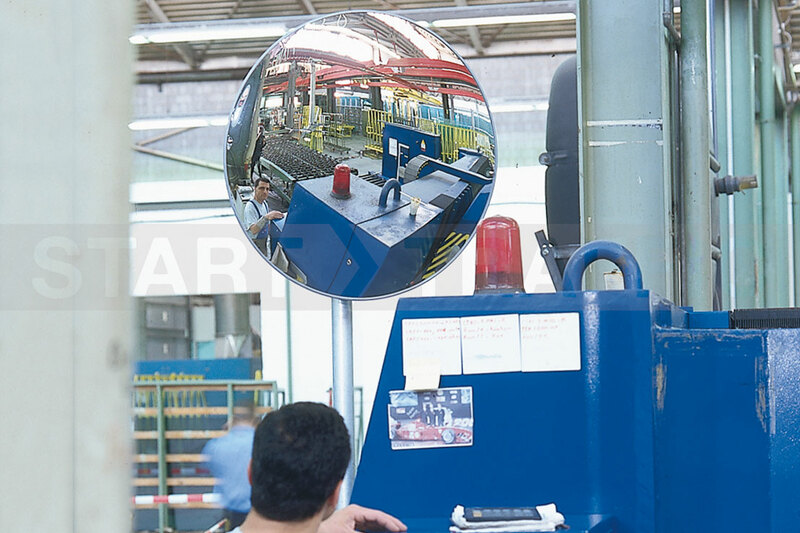 The Detective-x safety mirror is great for shops as a theft deterrent. This mirror can be used alongside CCTV in retail stores to give better observation of the whole store. When placed in the back corners of a store these mirrors provide a view behind shelving for those working at the till. This version of the Detective-X mirror is available in 6 sizes. It is only suitable for indoor use and comes complete with a 25cm wall mounting bracket. There is an extended bracket available as an optional extra that extends the mirror 55cm from the wall. If needed a post mounting bracket can also be purchased for post mount applications. This mirror is made from shockproof acrylic which is a safer alternative to glass and still provides a great image. Need This Mirror For Outside Use? Check out the Spion Mirror. It comes in an almost identical form factor but is suitable for both indoor and outdoor use, great for car-parks, builders merchants. Getting the right size mirror is important, each mirror has an optimum viewing distance, these distances are detailed in the attached table. The diameters shown are measured across the widest part of the mirror face. The optimum viewing distance is measured from the centre of the mirror to the viewer's eyes. These mirrors offer a great cost-effective method of improving store security and are a cheap alternative to high-resolution CCTV. Need Help Getting The Right Mirror? Need help finding the right convex security mirror? Give our sales team a call, they will be more than happy to assist you in finding just the right mirror for the job. They are available during office hours at 01905 794 875.